A collection of pre-Raphaelite paintings will be on show to the public at Fulham Palace. The exhibition is being organised by the Mayor of Hammersmith and Fulham, Cllr. Minnie Scott Russell. The proceeds will go to the Charlie Waller Memorial Trust – a charity that seeks to raise public awareness about the nature, symptoms and dangers of depression. It will open on 23rd May and run until 1st June. You can visit the Trust's website by clicking here. Most of the works were bequeathed to the borough by art collector Cecil French in 1953. The exhibition will show the collection of fifty-three pictures by late 19th and early 20th century British artists. 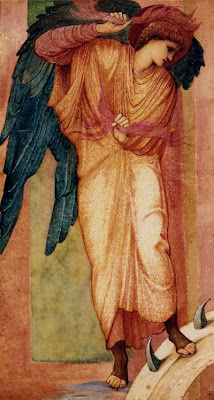 The bequest comprises 26 paintings and drawings by the genius, Sir Edward Coley Burne-Jones, who lived in Fulham. Also on show will be important works from Lord Leighton, Sir Lawrence Alma Tadema and George Watts. You can visit the exhibition website by clicking here.